The U.S. Energy Information Administration (EIA) recently released a report which was quickly hailed as showing "geothermal energy remains a very attractive source of electricity." The report shows its great potential and confirms its current reality could be vastly improved if the governments gave geothermal support comparable to more prominent renewables -- whether in terms of tax credits, streamlining the permitting process, or inclusion of geothermal technology in Western states' clean power plans. Geothermal has vast potential, as the EIA paper reveals, and much more room to grow if critical programs are implemented to support the industry. In the paper, Levelized Cost and Levelized Avoided Cost of New Generation Resources in the Annual Energy Outlook 2016, EIA compares the "levelized cost" of geothermal energy and other technologies, which means the costs shown are not based on actual, reported prices for energy based on competitive bidding in state procurements, but are modeled costs based on various analytical assumptions. Despite a modeling paradigm that favors other renewables, the results are still impressive. Taking a quick look at the results, you can see why it is exciting news for geothermal. Below is the chart of the paper's results. There are important lessons to be taken from this report that should not be missed -- geothermal power has great potential to be a leading low-cost renewable power source if obstacles to its development are addressed. The report also gives some clear indication of what the obstacles are to doing so. High on the list of obstacles are permitting delays and the perceived risk of development. The bad news is, because geothermal projects are considered high risk until the resource is fully drilled, they face much higher initial capital costs. This is compounded by how long it takes to lease and permit a geothermal project. Reports have shown that the geothermal energy development process can take 5-7 years, while wind and solar development typically requires 1.5 years, and oil and gas development typically requires 3-5 years! The good news is that there is something that can be done about these obstacles. There are ways to reduce agency timeframes for leasing and permitting, and approaches to reduce private sector risk to more acceptable levels. In fact, if Congress does get around to passing an energy bill this year, it might just take action on both. The Energy Bill, S.2012, as passed by the Senate seeks to speed up the processing of geothermal projects and address resource risk. Together, the potential for cost improvement is significant. Analysis the Geothermal Energy Association (GEA) conducted in 2005 showed that the impacts of risk and delays could easily double the cost of a geothermal project. Based on that analysis, reducing a project timeline from six years to three years would reduce total cost as much as 37 percent! 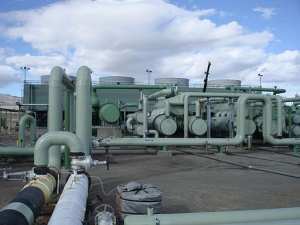 The U.S. Department of Energy (DOE) has supported efforts to systematically reduce costs for other technologies, and should consider launching a coordinated campaign to enhance cost reductions for geothermal. That campaign could begin with better exploration and drilling technology, supported by efforts to streamline development, and completed by a purchase requirement for federal facilities to ensure a sustained market for new projects. The efforts that have propelled solar so successfully followed similar measures, and we should learn from their success. Geothermal will be an important part of the future grid, being able to offer either firm or flexible power. As intermittent power sources take on more of the power demand now fulfilled by baseload fossil fuels, the value of firm/flexible power will only grow. Geothermal needs to be ready to help meet those needs at the lowest possible cost. DOE should set a goal of achieving the levelized cost potential their studies show in the marketplace and put in place a coordinated effort to achieve those goals. Karl has been the Executive Director of the Geothermal Energy Association since 1997. He was formerly Director of Government Affairs for the American Wind Energy Association and has held senior positions at the National Wildlife Federation and The Wilderness Society. He worked in several positions in the U.S. Congress, including Associate Staff of the House Appropriations Committee and Legislative Assistant to Senator Paul Wellstone (D-Minn).